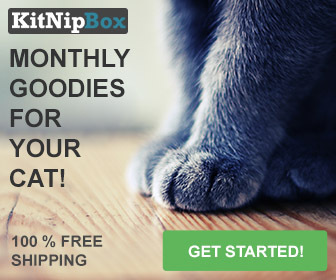 KitNipBox is a monthly subscription box with items for your cat or cats. They offer two options: The Happy Cat box and the Multi Cat box. 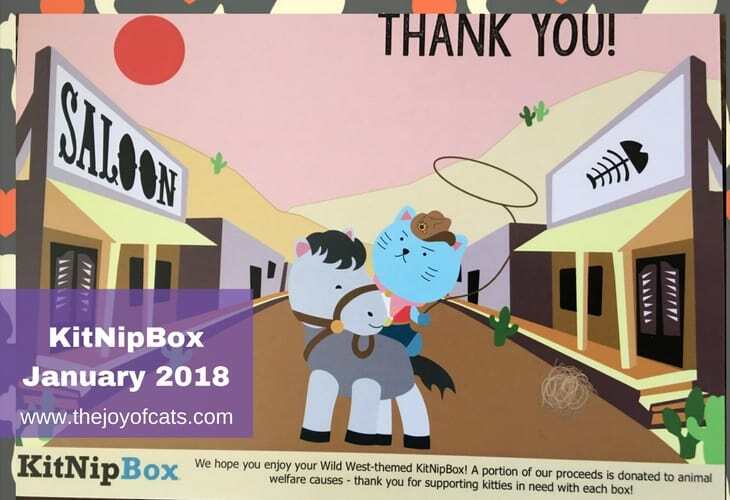 If you'd like to receive a box sign up here: KitNipBox. We also choose the option to not receive cat treats. Below, you can watch the video of me open (unbox) the January 2018 KitNipBox. I did not preview the items before making the video. I like making the videos as I'm not always aware of what the cats are doing behind me! I loved this box! It's one of my favorite boxes so far. Unlike last month's box, none of the toys had ribbons or feathers that needed to be cut off. We cut off ribbons and feathers because Buster tries to eat them. The horse toy is cute. All the toys could be set up to make a wild west diorama. As usual, the cats were attracted to the catnip that is in same of the toys. I realize that the design of most cat toys is to appeal to the cat owner more than to the cat. 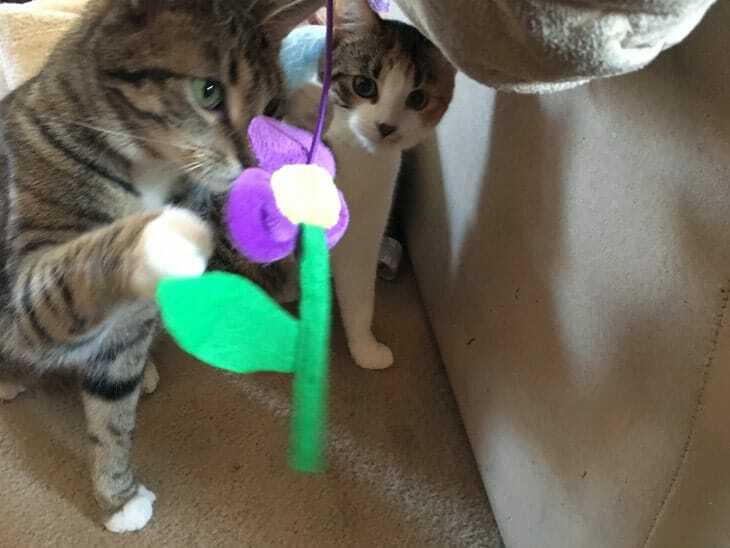 Taco (gray tabby) and Nacho (calico in the back) love the flower toy when I played with them with it. They were less interested when I wasn't dangling it in front of them. Taco and Nacho with the flower toy. Below is the list of items that could have been in this box. It looks like they mail the same card to everyone. 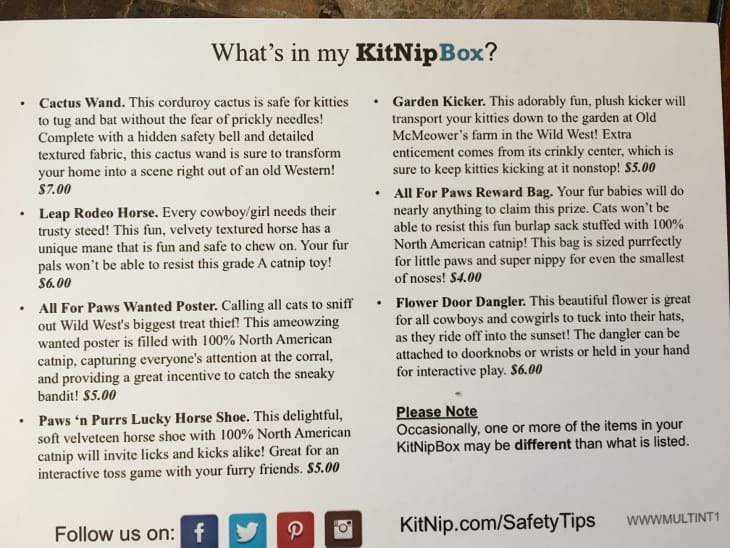 If you'd like to receive a box sign up here: KitNipBox. The compact catnip mice appear to be the item we received instead of the turkey and cranberries treats. 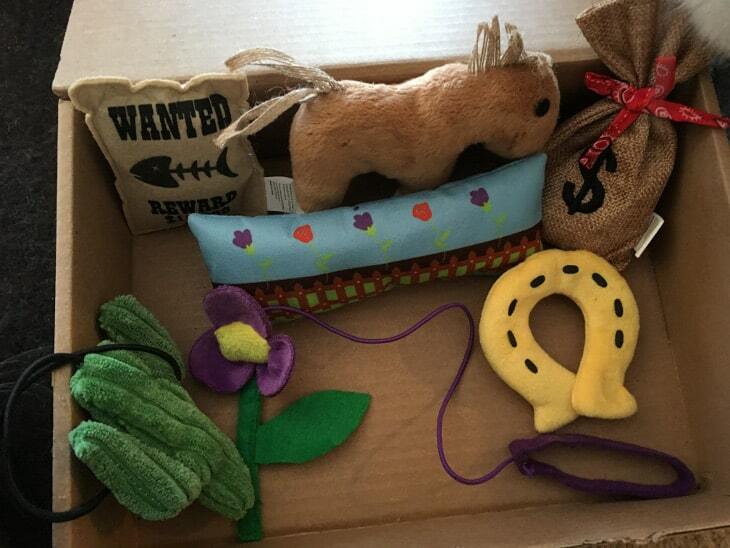 ​Do your cats like to get toys in the mail?